Elena joined the School in 2012, after successfully leading the Centre for European Studies at Aberystwyth University. Elena was awarded Jean Monnet Chair for the second time, within the Global Europe Centre (GEC) in 2013. Elena received her Doctoral Degree in European Politics from the University of Bath (2001), and a PhD equivalent in Political Sociology from the Belarusian State University (1997). Thereafter she served as a British Academy Postdoctoral Research Fellow at the University of Glasgow, and a visiting Professorial Fellow at the Belarusian State University. She is member of executive committees for BASEES and CEELBAS, and a co-founder of EPAC. Elena regularly advises European Commission, European Parliament and national governments of the EaP region. She is a regular media commentator for BBC, ITV, France24 and Sky News. Elena's research interests include EU foreign policies with an emphasis on the Eastern Partnership Initiative (EaP), and the External Action Service (EEAS); EU governance, EU-Russia relations, democracy and democracy promotion. In 2011 Elena completed a large ESRC-funded project (RES-061-25-0001) titled 'Europeanising or securitising the outsiders: Assessing the EU's partnership-building with Eastern Europe' (2008-2011), which findings contributed towards revising EU policies in the eastern neighbourhood. 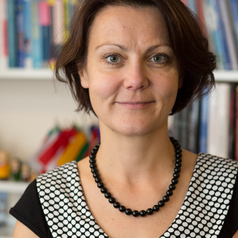 Elena is a co-founder and Director (Professional Studies) of the Global Europe Centre at Kent. The GEC offers a unique framework for research-led inter-disciplinary and cross-site (Brussels and Canterbury) multi-user collaboration.